I've found so many beauty products this year that I adore, I've spoken about them all individually across my social media channels and snapchat (allymaherblog). Here's a round up of my favourite products I discovered in 2016. I've spoken about this foundation time and time again, it is the most beautiful foundation I've tried in a long time. It is super lightweight, but gives the skin full coverage and will hide any pigmentation, imperfections or acne. 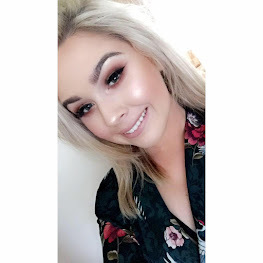 I use the shade 02 Adobe for day to day wear and I use 03 Rosso for when I'm wearing tan, Cailyn is available online and in pharmacies across Ireland. I usually have quite normal skin and I've broken out with acne lately, this foundation seems to suit all skin types and every time I use this foundation on a client they text me to ask what foundation I used. It gives the skin a flawless complexion and luminosity, its hard wearing, long-lasting and doesn't give you a shiny or oily complexion. I was so lucky to get my hands on this palette, Beauty Bay stock it from time to time but it always sells out within a few minutes. It has the perfect balance of matte and shimmer shades, the pigmentation is second to none, easy to blend, buttery, and the shades are to die for! If you get the chance to grab this palette, you won't regret it. It is very similar to the Anastasia Beverly Hills Modern Renasissance Palette, I also loved this palette but the holy grail has twice the amount of shadows for the same price. I was a late one to this party, but I was very pleasantly surprised by this concealer by budget brand Catrice. It costs €3.95 so it won't break the bank account and it is a fantastic concealer, right up there with my long time favourite MAC prolongwear. I use the lightest shade 010 and it is perfect for my skin tone, it has a slightly yellow tinge to it also which is brilliant for covering dark circles. This concealer dries matte and when set properly it will last you all day! Medium to full coverage, long-lasting, no creasing, purse friendly, what more could you ask for? I was never a fan of liquid liner but Schwing totally changed my opinion. It is so easy to use it's almost foolproof, it's highly pigmented and dries matte which is gorgeous. Another amazing find from budget brand catrice. I have this highlighter in the shade 'light infusion' and I was blown away by the pigmentation of this product. It puts some of the more expensive and premium brands to shame. It gives the skin a beautiful, intense glow and is perfect for Irish paler skin tones. To me this is a really similar shade and formula to the Balm Mary-Lou Manizer, except it blends nicer into the skin and doesn't have as much of a powdery finish. At €5.50 you can't go too far wrong! I have an absolute love affair with the brand Milk Shake. My hairdressers in Studio 55 introduced me to the brand and I have so many products that I've repurchased time and time again. Milk_shake products are kind to your hair and only use professional and natural ingredients. My favourites include the Integrity Shampoo, the Silver Shine Whipped Cream, the Silver Shampoo and the Spray Leave In conditioner. If you follow me you will know I have chopped and changed my hair every few weeks this year, I've finally decided that I was born to be a blonde haha but my hair is still in good condition thanks to the Milk_shake Range. They are more pricey than the normal products you'll buy in the supermarket or pharmacy, but believe me they are worth every penny especially if your hair needs some TLC. I was lucky enough to be invited to the Cocoa Brown Bloggers Breakfast which was such an amazing morning. We were gifted the new haircare products and I've gone through countless bottles ever since. I have a very sensitive scalp and nearly every shampoo I use aggravates it, bar the Cocoa Brown and milk_shake ones. The smell amazing, hydrate the hair and give the hair the most beautiful shine. This brand has been my savior since I broke out with acne. I am obsessed with their products and although I've only tried 3 different products, they have all done exactly what they claim to do. I first heard about the brand when chatting to Niamh Martin from Nima Brush, she always chats about Declare on her snapchat and I got a sample of the Cleansing Milk at the Art of Nima event which I have repurchased twice since. I also got a surprise package in the door a little while ago after I had asked you guys for any skincare remedies for acne, and I got the skin mediation and detox night cream which I found absolutely amazing. They dried up all my spots and took the inflammation out of them overnight. I use a coconut oil from the brand Ultra Pure and it the most fabulous moisturiser for the body and face. My skin tends to become very dry in the winter months and the cold weather, This smells amazing and leaves my skin feeling so so smooth and hydrated. These whitening strips are just as good as the Crest Whitening Strips that I have used and loved for years. You get a 14 day supply of strips in this pack for €39.99 which is great value and you are guaranteed to get fantastic results. Spotlight are the only European whitening strips that contain hydrogen peroxide, which is the most effective agent to whiten teeth. I'm so so thankful that Bellamianta came into my life this year, I'm well and truly obsessed. It gives the deepest, sunkissed, natural tan. It wears well and doesn't look terrible when it's coming off, it also has no bad smell either which is a plus. I hope you enjoyed my round up of the new products I've discovered and loved in 2016!